Congratulations to eighth grader Clare O'Dwyer, whose FIRST Tech Challenge group, MOE 365, captured the Inspire Award at the 18-team Diamond State FTC Championship on Jan. 26 at Central Middle School in Dover. As a result, Clare and her high school teammates received an invitation to the FIRST World Championship from April 24-27 in Detroit. 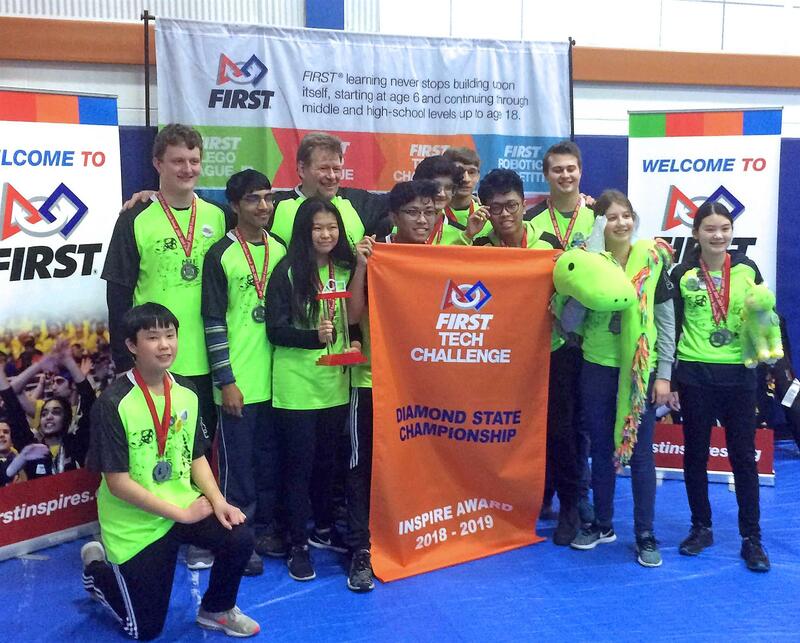 Three additional Independence eighth graders - Ben Jordan, Trisha Srikanth and Gordon Sun - also competed at the high school level for Archmere Robauktics during the state event. During drop-off and pick-up times, please remember to leave the center turn lane into Meadowdale open so that residents can access the neighborhood when trying to make a left turn in. Thank you for your cooperation and understanding! Re-enrollment contracts for the 2019-20 school year were published to your My BackPack account on Feb. 1. Contracts and deposits are due back by Friday, March 1. Please email Donna Sentman, Admission Manager, with any questions. Thank you! Our food drive to support local federal employees and others affected by the partial government shutdown will run through the evening of FebFest, this Friday, Feb. 8. We have collection areas throughout the school and will make sure your children know where to drop off your family's contribution. Please click here for the list of suggested items. We hope you can contribute. This Friday, Feb. 8 from 6-8 p.m.
Advance "Play All Night" Band sales conclude tomorrow, Wednesday, Feb. 6. Bands will still be available at the door on Friday, but the cost rises to $25. Don't delay -- click here to purchase your child's band for $20 today! For FebFest volunteer opportunities, please click here. Also... be sure to check out the latest episode of INDY Live! by clicking the image. Your host, Ben, chats with Mrs. D'Souza, Development Manager, for a special preview of what you and your children can expect at FebFest. We also have great student demonstrations of a couple of the activities. 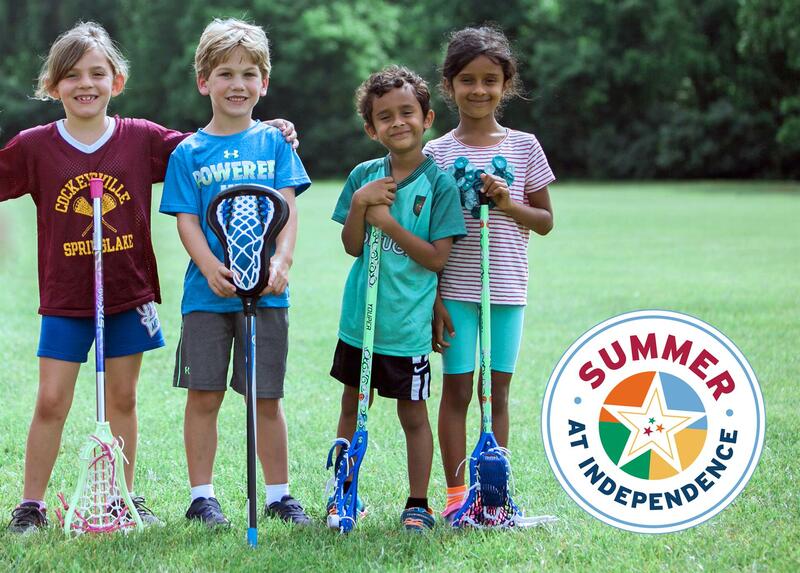 Registration is now available for 2019 Summer at Independence! You will also find a helpful FAQ, and you can thumb through galleries from every week of camp last year to relive the excitement and memories or simply see all the fun your child can have this year. Don't delay on planning your child's 2019 Summer at Independence! 2/14 - Happy Valentine's Day! Click here for the 2018-19 calendar at a glance. Click here for the full 2018-19 school calendar. 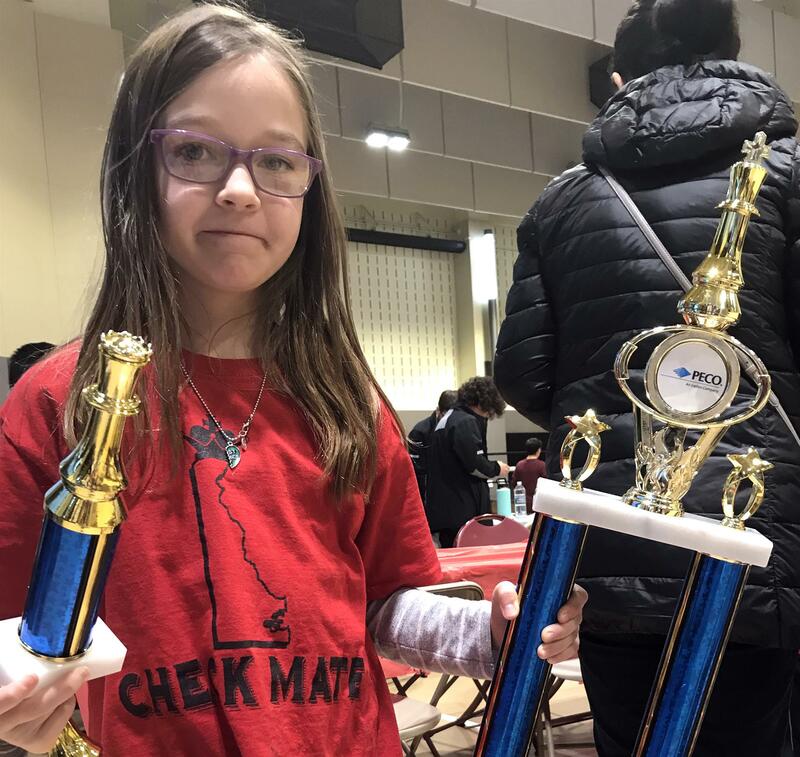 Congratulations to fourth grader Daria Tigan, pictured above, for earning a Top Female Performer (K-6 under 800) trophy at the PECO-ASAP Checkmate Violence Chess Marathon Tournament during the last weekend in January at University of the Sciences in Philadelphia. 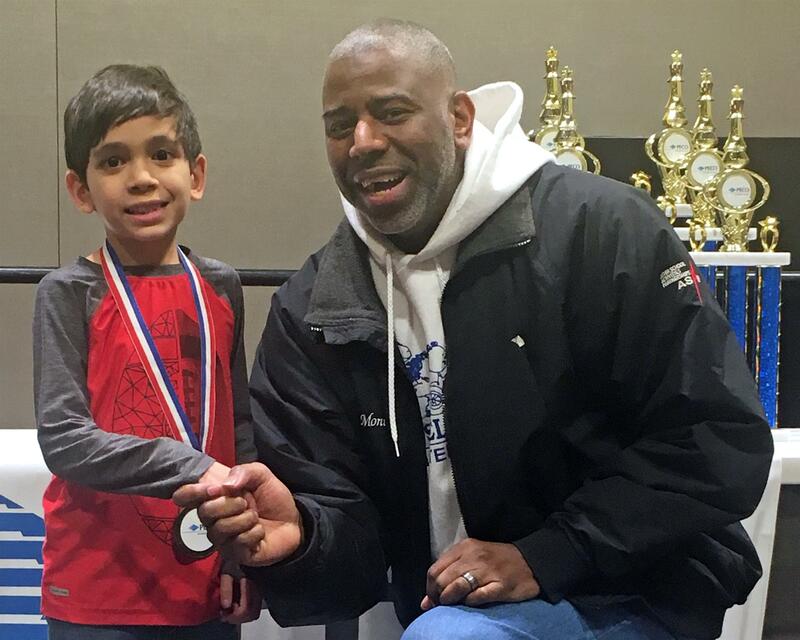 Additionally, second grader Raphael Lombardi, pictured below, won a silver medal in the K-3 Non-rated section.